Davenport has been managing partner at Omnicom shop since 2017. 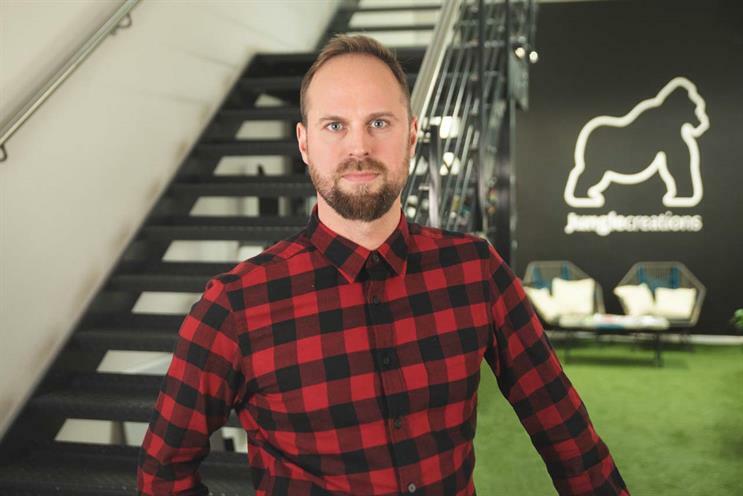 Jungle Creations has poached Dylan Davenport, managing partner at Adam & Eve/DDB, to be managing director of Treehouse, its new creative agency that is set to officially launch in April. Davenport joined Adam & Eve in 2011 as business director. He was promoted to global brand director in 2015 and managing partner in 2017. Davenport's responsibility included handling the Marmite, Colman’s, McCain and Volkswagen accounts, and he led the pitch for the launch of EA Sports' Fifa 18. Before joining the then independent, Davenport was an account director at Beattie McGuinness Bungay (now BMB), where he led campaigns including "You know who your mates are" for Carling, and ran the TUI, Virgin and Sky One accounts. He started his career as an account manager at Rapier. Jamie Bolding, founder and chief executive of Jungle Creations, said: "Dylan has an incredible entrepreneurial spirit from having worked at various start-ups, but also the unique experience of having run huge brands at both a local and global level. He’s acutely aware of the shift brands are making in their approach to communications and, like us, wants to give them a better way of directly reaching their audience." Jungle Creations runs a series of popular Facebook channels including VT, Twisted, World Unknown and Level Fitness. It has previously created work for brands including "Little Casanova" for Yoti, which was a Campaign Pick of the Week and went on to win a Cannes Lion. Davenport added: "Everyone talks about building a new kind of agency, but very few companies are able to deliver on it. Brands want something genuinely different, and not the emperor’s new clothes. "With Jungle Creations, you’ve got a hugely ambitious start-up that has no intention of playing by the rules. Because of their incredible success building social channels, they know communities, they know content and they know culture. I’m genuinely excited about harnessing this to help brands get closer to their audience, with ideas that will have a significant cultural and commercial impact."